This lightweight comfortable female undergarment. Manufactured from Tactel™. 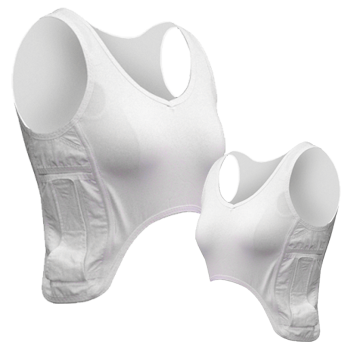 This lightweight comfortable female undergarment, designed for discrete carriage of any radio equipment. It has been specially sculpted to follow the female form to offer exceptional wearer comfort. Manufactured from Tactel™. Please note that these are made to order and as such can take between 4 - 6 weeks.